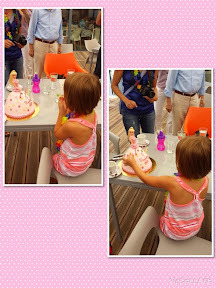 5th Birthday - or Birthdays ? Five. There must be somthing magical about this number. I wish I remembered when I turned 5. Months before turning 5, Abi was psyched about her 5th birthday and being 5. No matter whether asked or not she kept telling everyone she was just about to be 5 years old. So, since it seemed so important to her, we chose to jump on the same wagon with her and, yes, celebrate all month long. We took the girls to see the family in Europe and this was a great start to the month long celebration. 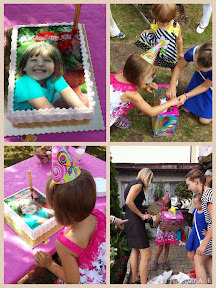 There were 2 birthday parties thrown for her in Poland and then another one when we got back home. 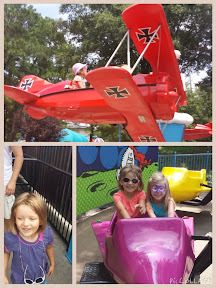 The last weekend of July, or rather the last week and first weekend of August she got her last birthday present and it was spending all day at Carowinds with mom, dad and her friend. 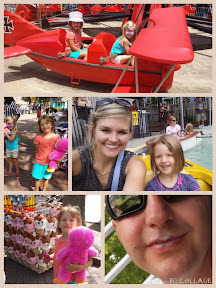 It was her first time at such a great amusement park and, to my surprise, she was unstoppable and fearless. She rode all the rides, all roller coasters she was allowed on (even those she barely made the hight requirements for). 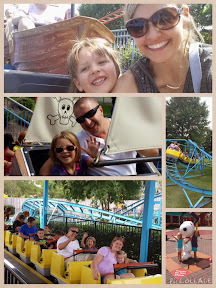 She had a blast and we all had a great time! Here are some pictures starting with the pictures of the first birthday party. 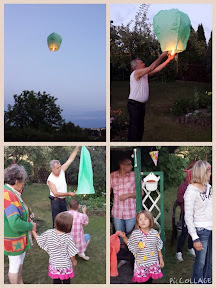 First 5th Birthday party (no more picture at the moment of writing this post, still sitting on the camer). 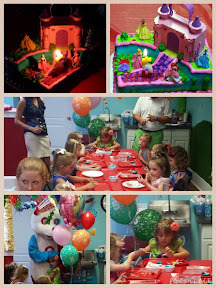 It was a fun birthday party thrown by her grandparents at a children's place. Bouncy houses, outdoors playground, games etc.